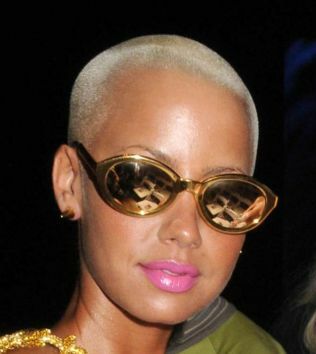 Model Amber Rose has admitted she will 'always love' her ex-boyfriend Kanye West. The Model used to date the star and is now dating another rapper, Wiz Khalifa, but still speaks fondly of her ex-boyfriend. Speaking to Vibe magazine, she said: 'People think me and Kanye are enemies, and we are not enemies. He wants the best for me, still. Let me say this: I still love Kanye. 'I will always love him as a person. I will always love him for what he's done for me. I still always have that soft spot in my heart for him. I am not in love with him.